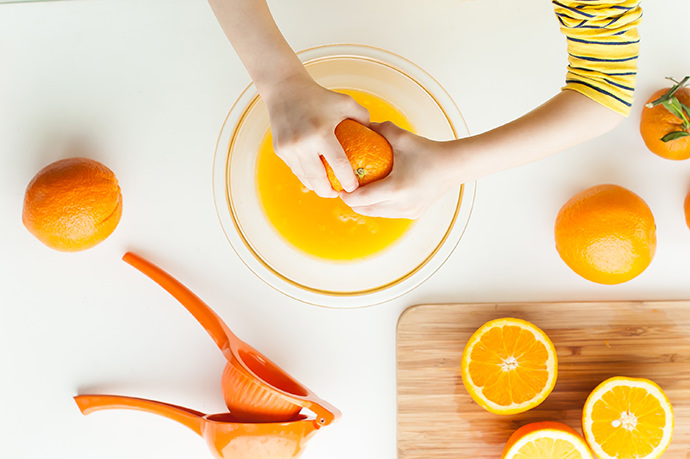 Wintertime means an abundance of citrus! Especially oranges. They are easiest to find, priced at their lowest, and most flavorful this time of year. Not only that, but they pack a powerful punch of vitamin C, something we could all use right about now. 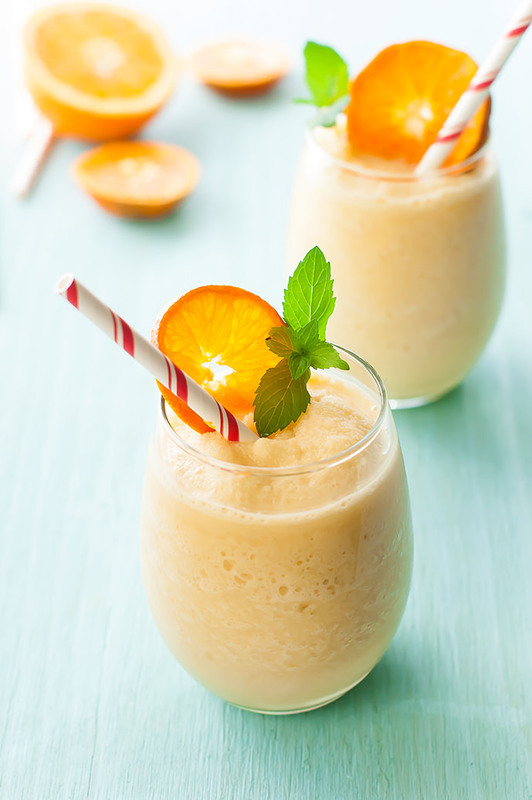 Why not make a creamy orange julius with all that fresh juice at your fingertips? This version is tangier and healthier than those made with concentrates and it only calls for five simple ingredients. Orange Greek yogurt gives the drink a nice and creamy texture, though vanilla would work just as well if you can’t find orange. 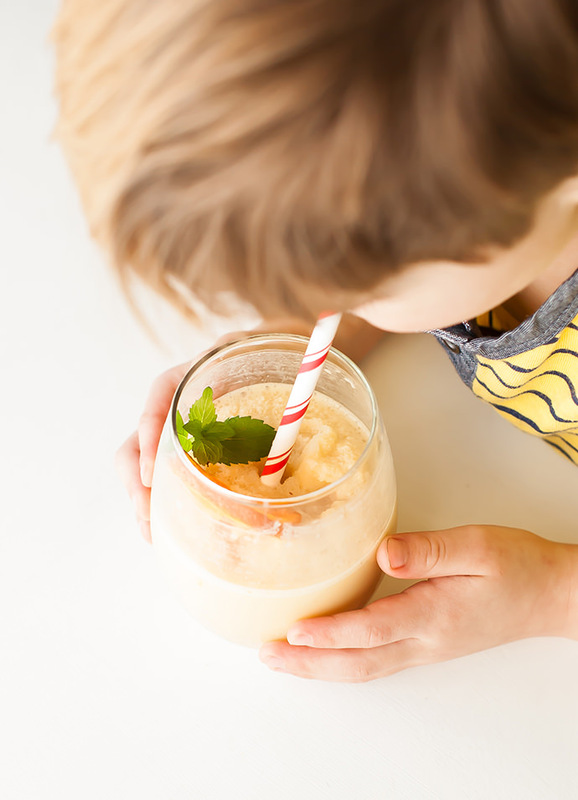 My kids thought this made the most dreamy after-school snack. I agree! Place the ice cubes in a blender. You may need more or less depending on how big your cubes are. 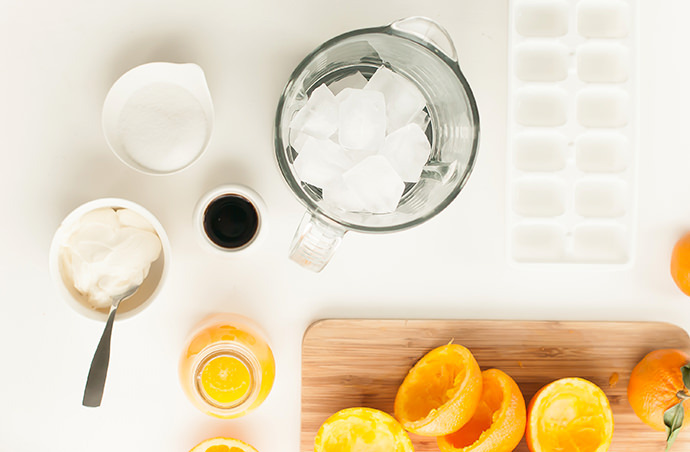 Once the drink is blended, you can add in more ice cubes to achieve a slushier drink. 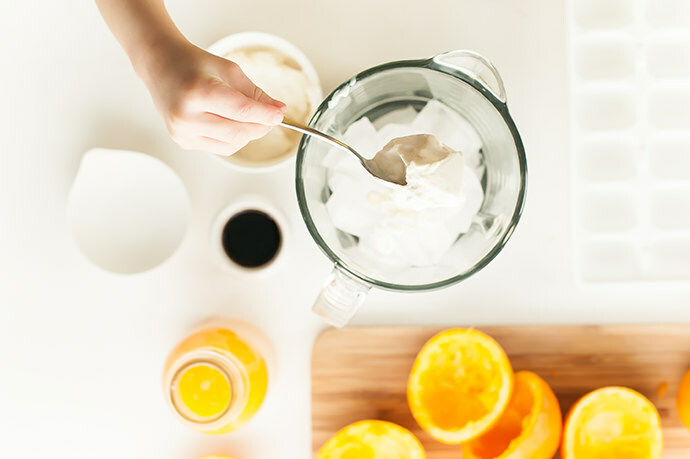 Add the sugar, vanilla, yogurt, and orange juice into the blender. Blend on high for about 1 minute, or until the drink is well-blended and frothy. Serve right away.